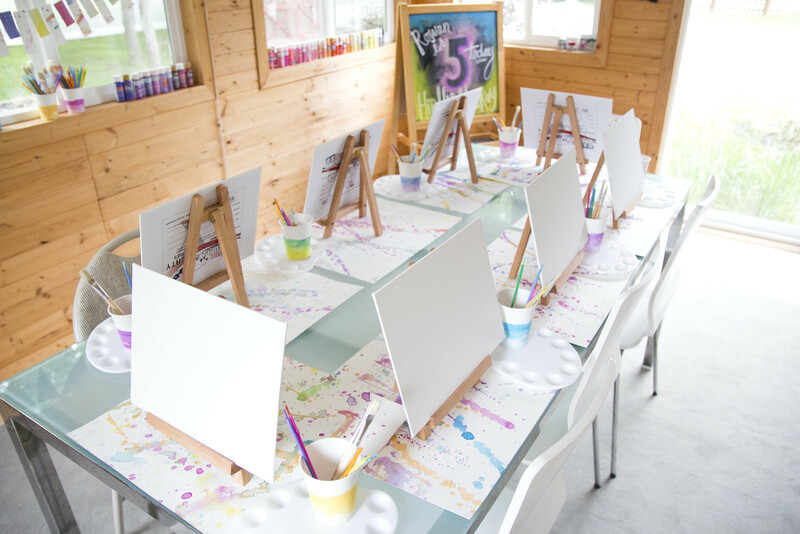 Little Artist Party | Happy 5th Birthday Rowan!!! Rowan turned 5 on Saturday! What a big girl she is! For the past year, almost daily, she’s talked about what theme she’s wanted to have for her birthday. Her ideas changed every few days depending on what we did that day or what movie she just watched. She’s had a lot of ideas over the past 365 days! A few weeks ago we really started to think about her party and narrow down what she wanted to do. She’s been soooo into art lately so we sat at the computer one day and looked up artist themed birthdays on pinterest (get ready for all the rainbow colors if you do that). Anyway, she was hooked! 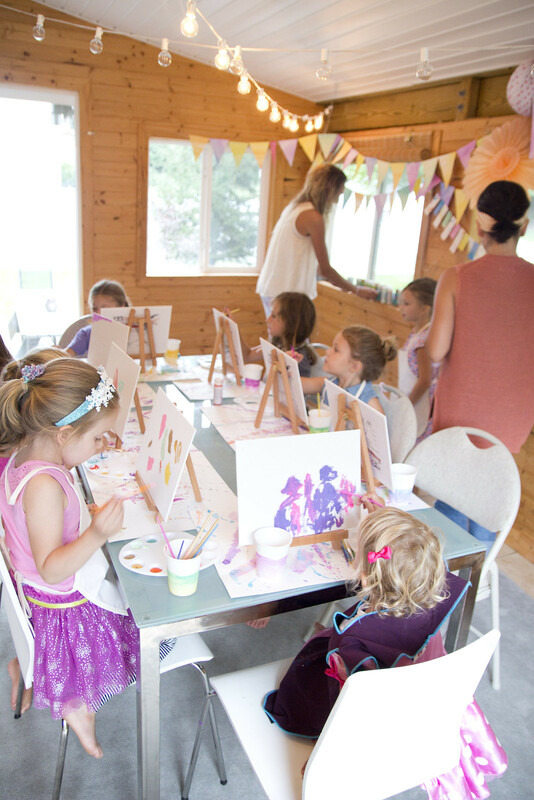 she loved the idea of everyone having their own canvas and easel and getting to paint a picture they could take home. 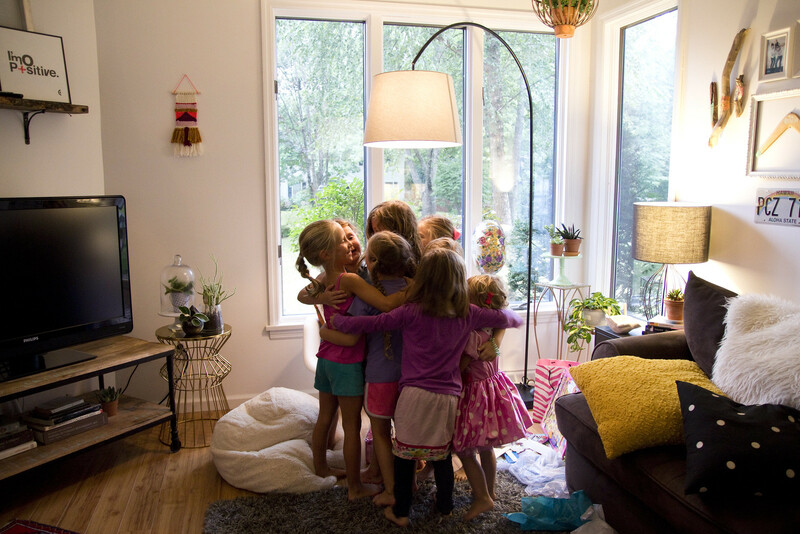 All in all it was a super easy and fun party to plan for (hello amazon prime! )- I didn’t go over the top or spend tons and tons of money. It was fun to let her be a part of the decorating and have a hand in her own party. We had a lot of fun! 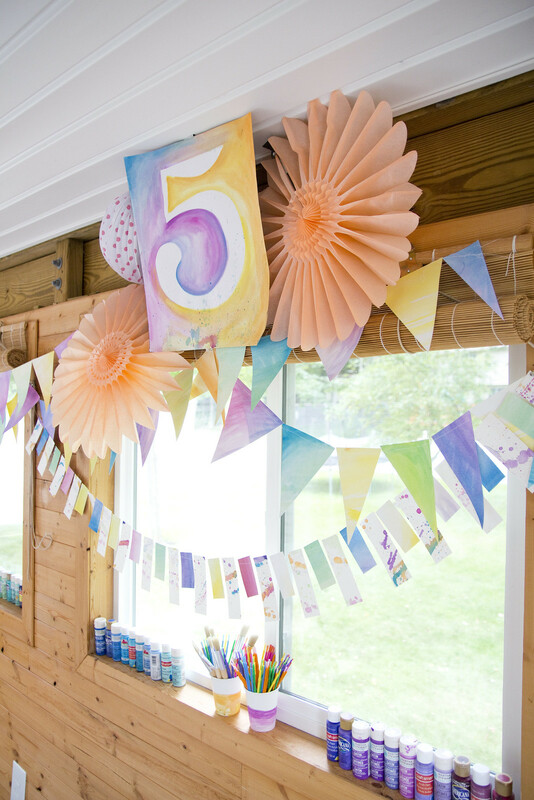 There are A LOT of ideas out there in pinterestland for artist themed bday parties. 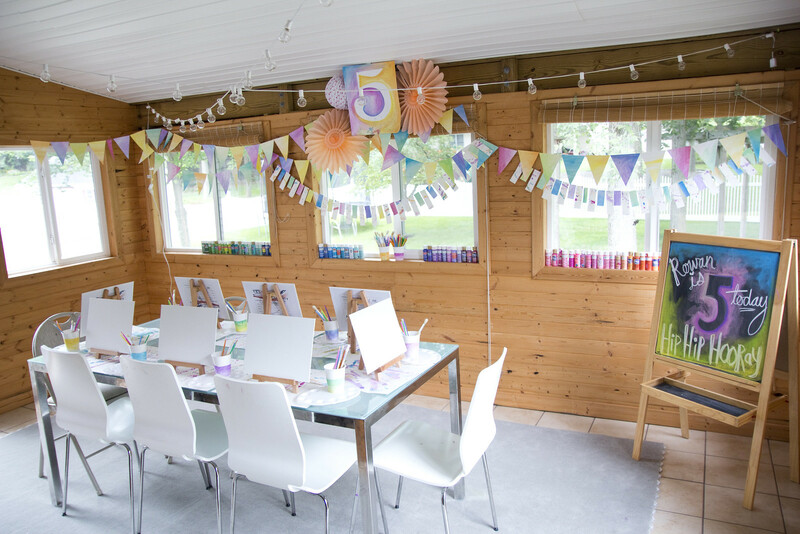 I wasn’t for all the primary/rainbow colored party ideas but I did find this post as my inspiration and then made the party fit us and our own ideas. I really, really love decorating for the girls birthday parties. It brings me a lot of joy! 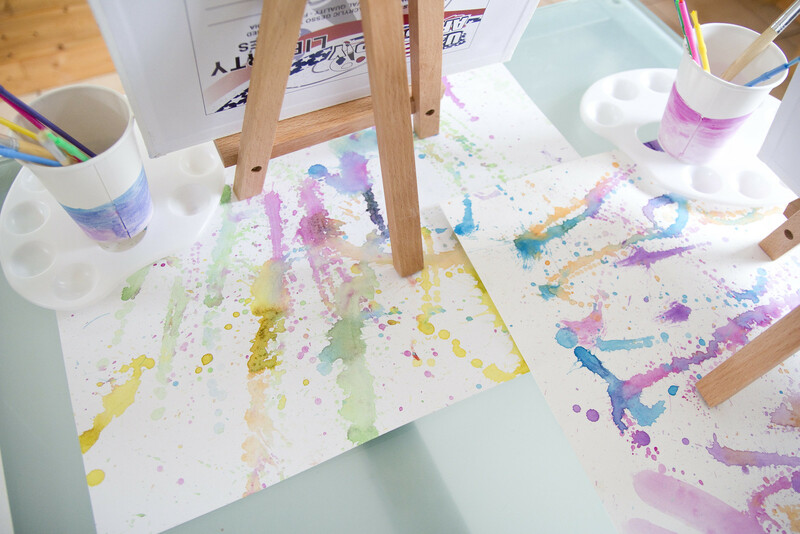 Rowan made all the placemats for the table with watercolors and lots of splatters! We’ve since cut them all up and used them to make the thank you cards for her friends who came. Dual purpose!! Heck yeah! 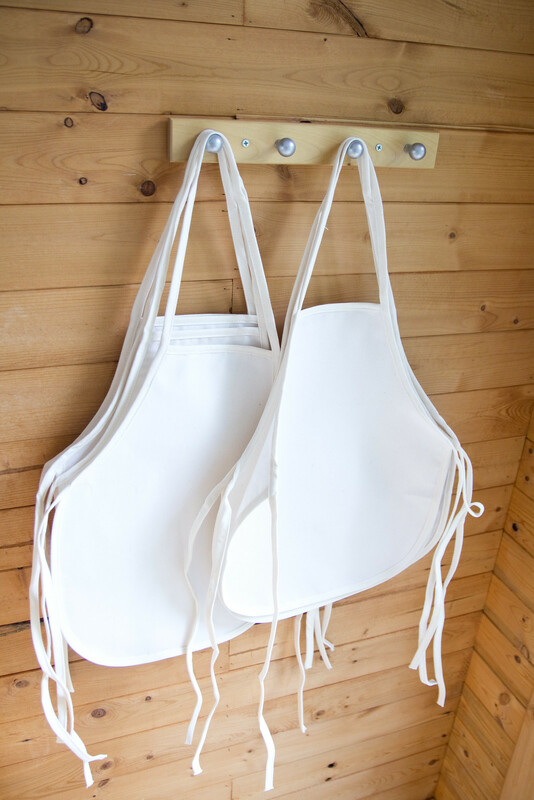 We ordered canvas boards, easels, paint brushes, aprons, paper cups and palettes from amazon (links below). I already had the craft paint. I just lined it all up for the girls to pick out the colors they wanted for their paintings. I kept the food simple. I made sugar cookies (from a box!) in shapes of 5’s and artist palettes (made with a heart cookie cutter). I made some individual fruit cups with all fresh berries, veggies cups with hummus and then the girls got a palette filled with lots of sprinkles and an undecorated cupcake that they got to go to town on decorating. You know, keeping with the artist theme and all. The girls had a blast and I loved the ease of it all. 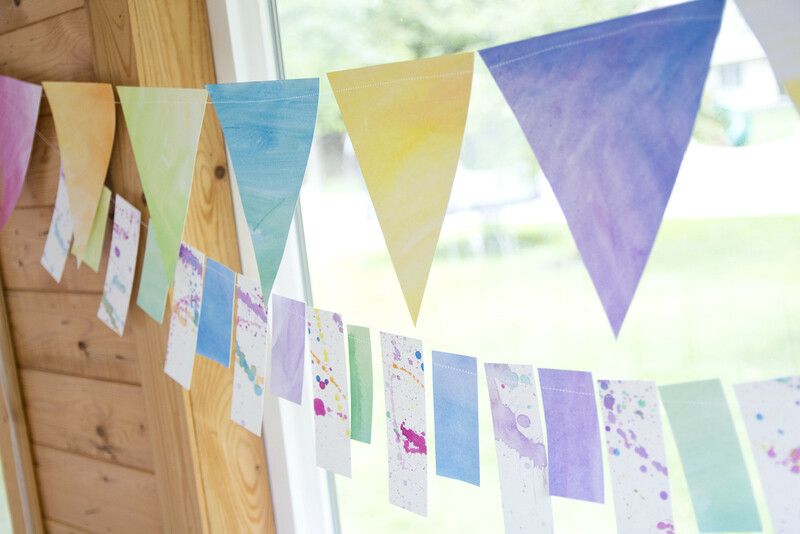 I made a few watercolor buntings with some painted papers. Just cut the shapes you want and run them all through the sewing machine. Super easy! What a fun afternoon celebrating our little artist! Just pinned every pic!! What a fabulous idea! Happy Birthday Rowan! That last picture!! 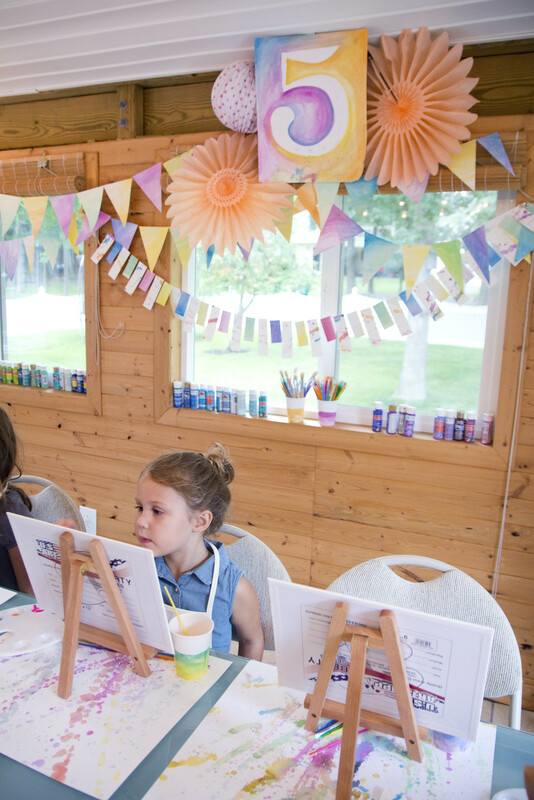 <3 I don't have kids yet but you can be sure I'll be giving my child an artist-themed birthday party at some point in their lives. Art is my life. Love that girly group hug at the end–precious!!! Omg, this is adorable! Wish Artist themed parties were around when I was five too 🙂 Pinning for sure. Happy Birthday Rowan! 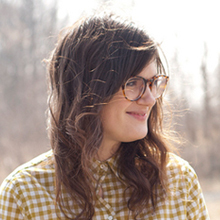 Her decorations are absolutely gorgeous, personal, and thoughtful. She is lucky to have a mama like you. Also a belated congrats on your little boy news. You will love having a little boy! It’s never a dull, always a messy, rowdy moment with our Henry. 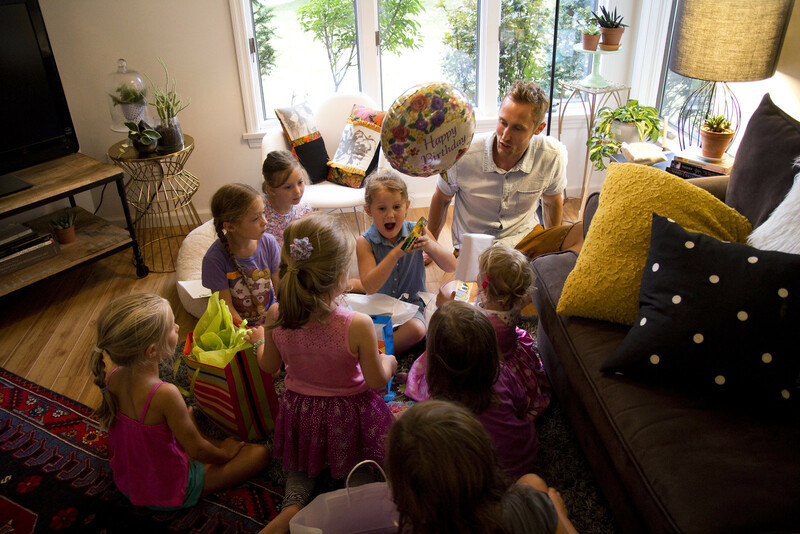 Cutest Kids Birthday Party Ever!!! 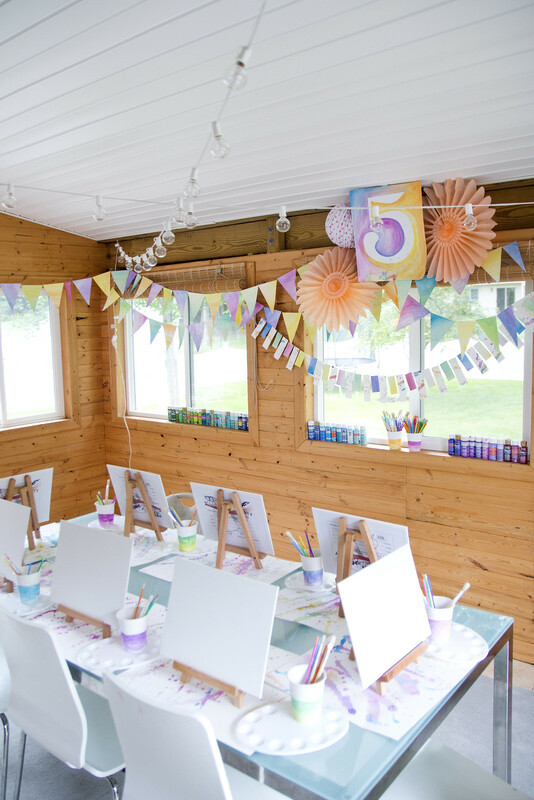 I seriously want to have an adult Birthday Painting Party now where we all sit around and paint and eat!!!!!!! 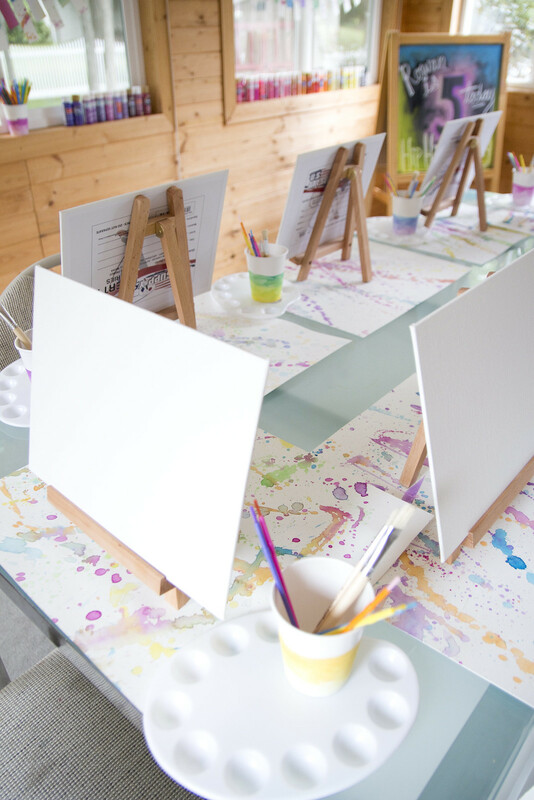 (I”m pretty sure they already have that called Painting with a Twist for adults ahah but hey… it’s much cuter the way you did it.) You just have the best eye and those cookies are all adorable! 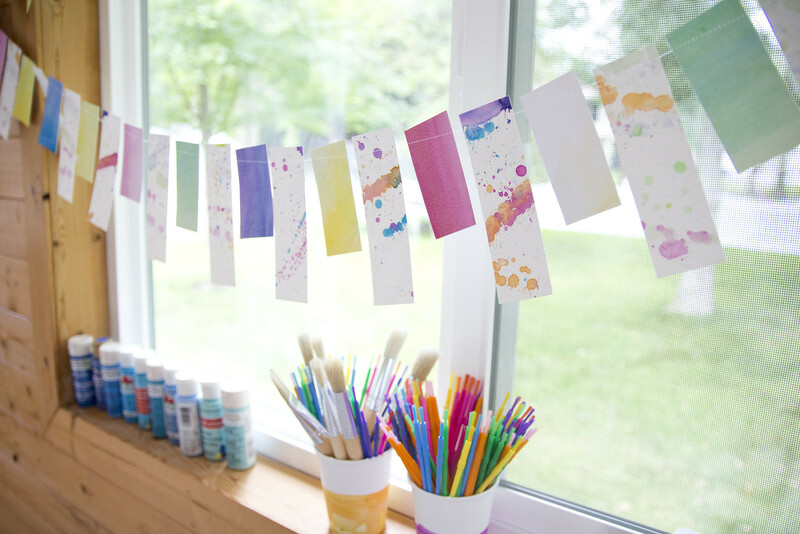 oh that is so cute.. i have pinned similar art party ideas for someday.. 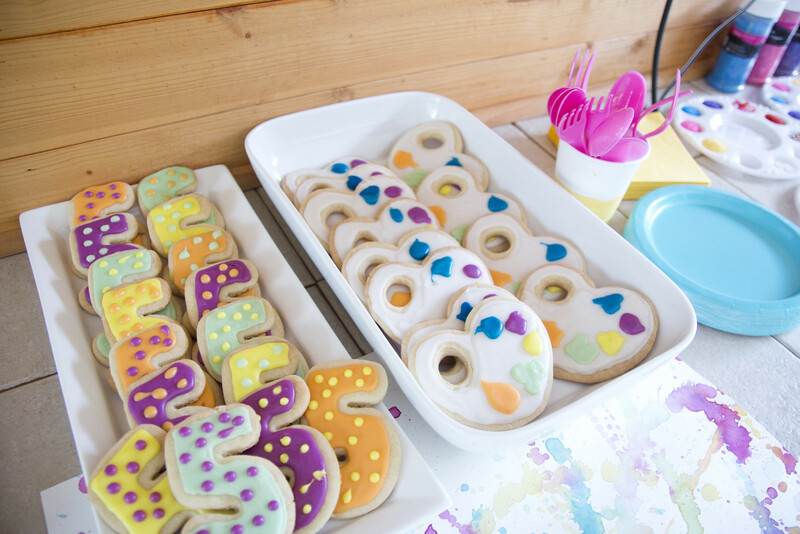 Cool party theme, love all the colors, and those cookies look really yummy! holy cow! 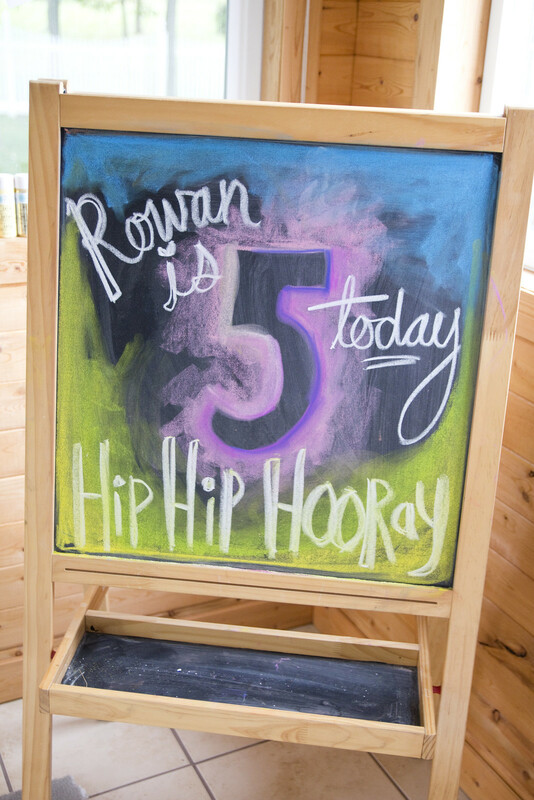 i can’t believe rowan is 5! i have been following you for like… 7+ years?? time flies! looks like a beautiful and super fun time. happy bday rowan! Where did you get the plastic paint pallets for the cupcakes?? Where did you get the plate for the cupcake with the holes for the sprinkles? Such a great party and so pretty. I love simple designs for birthdays- it’s usually the ones the children like better! Oh my gosh too cute where did you find all your art supplies? This is the CUTEST!!! Great job!! 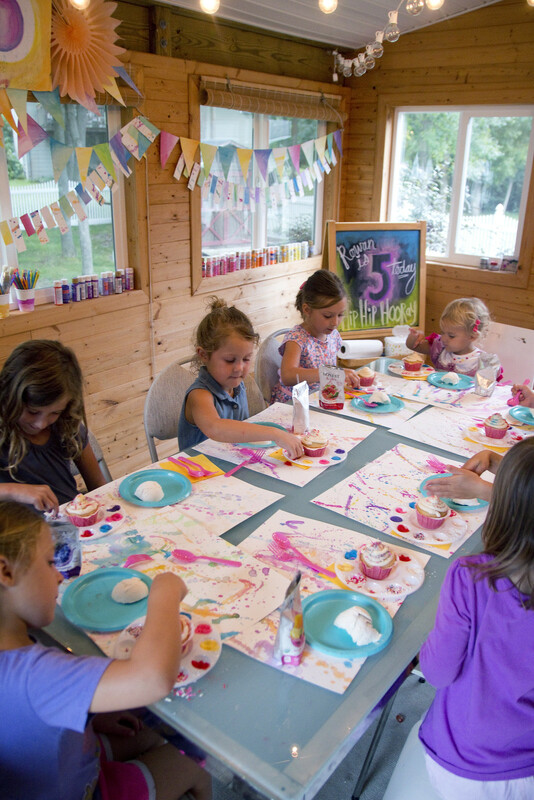 Such a great way for kids to have fun and express themselves artistically while celebrating the adorable Birthday girl!! Love these ideas! 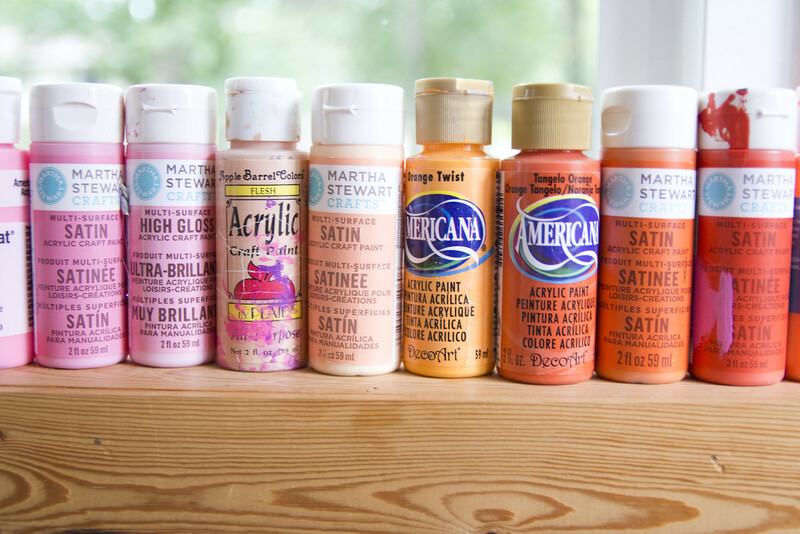 Oriental Trading Company had lots of these supplies! Cant wait to start planning! 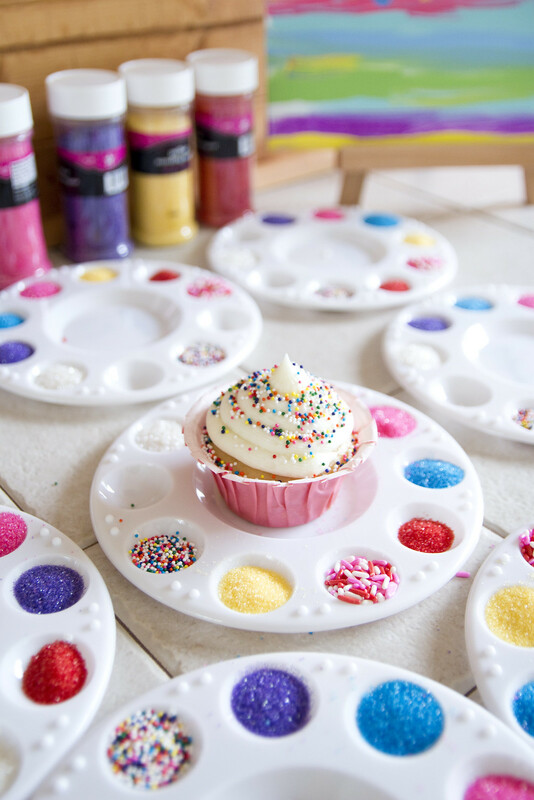 Did you make your own cupcakes and did their sprinkles actually stick to the icing? Great idea i know mos items came from amaxon but what about the white square containers that held the number five and oval palettes?